This is an iPhone video editing App, the most advanced, portable video editing and audio production is designed and developed to create videos in few seconds. This app allows users to Add music track from you phone library, adjust sound effect transition, and apply boarders & effects to the clip in order to make beautiful videos. We have used AV Foundation Framework to build this app and this can be downloadable from App Store. User can access device camera and record videos. User can access phone gallery and upload videos. 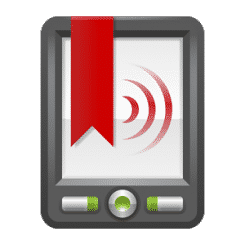 User can apply audio input file. 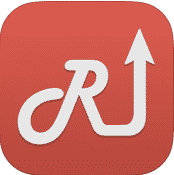 User can purchase frames, boarders and advance features via in-app purchase. User can access Tools like Sound Effect, Transition, Boarders, Effect (Key Burns, Slow Motion, Fast forward), Trimmer, custom Photo/ video Picker and Filters to create beautiful videos. User can share videos on social media platforms. User can connect with ITunes and upload videos. 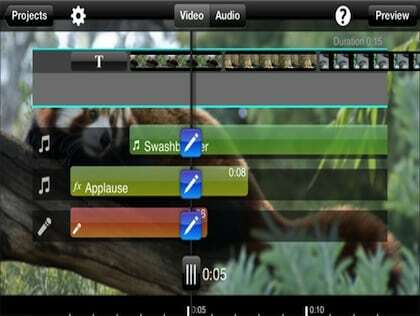 Splice puts you in total control, so you can assemble video clips, music, photos, visual effects, text, audio mixing, and creative expression, along with exacting synchronization of sound effects and voice-overs. With an exclusive scrub and timeline feature that is intuitive and easy to use, gathering the raw materials to make your movie has never been easier. With Splice, send your videos out in an instant to family, friends, and your entire social network while the fun is still going on. Whether you are posting on Facebook, Twitter, YouTube or emailing stunning movies directly from your iPhone, your world is the star of the show with Splice. 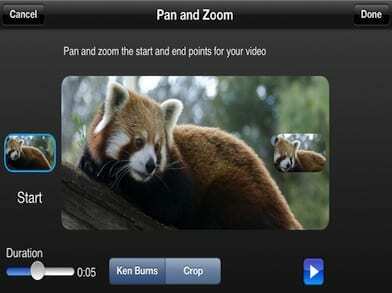 This app has features like Video Recording, Editing and Sharing Capabilities.